If you're like us, your dogs are very much members of the family. When you can't be home for them, because of work, holiday, illness etc, you want to have the peace of mind knowing that they are being taken care of with the same love and attention you give them. That's exactly what we do at Ayrshire Dog Care. We feel, and our (human and canine!) 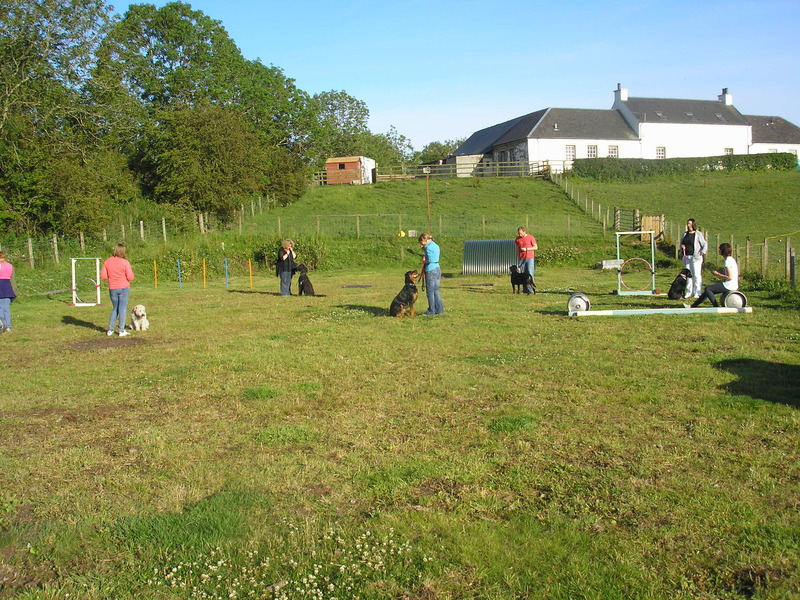 clients agree, that we have created a wonderfully relaxed, fun and sociable environment where your dog can enjoy his time with us. As we don't believe that "pit stop" visits and toilet break visits meet the needs of puppies during the very important formative months, in addition to Day Care and Home Boarding for adult dogs, we have the facilities to provide Day Care and Home Boarding for your puppy, making sure he has the appropriate socialisation that is vital to allow him to grow up to be a well adjusted, happy adult. Whilst with us, he will meet and hear every day sights and sounds to help prepare him for the big wide world. As it is important that puppies have the appropriate amount of rest and sleep, we also ensure he has plenty of rest periods throughout the day, so he doesn't get overtired. We have loved and cared for animals for over thirty years and have much experience in dealing with anything they can throw at us! Making full use of Little Tykes Playground! 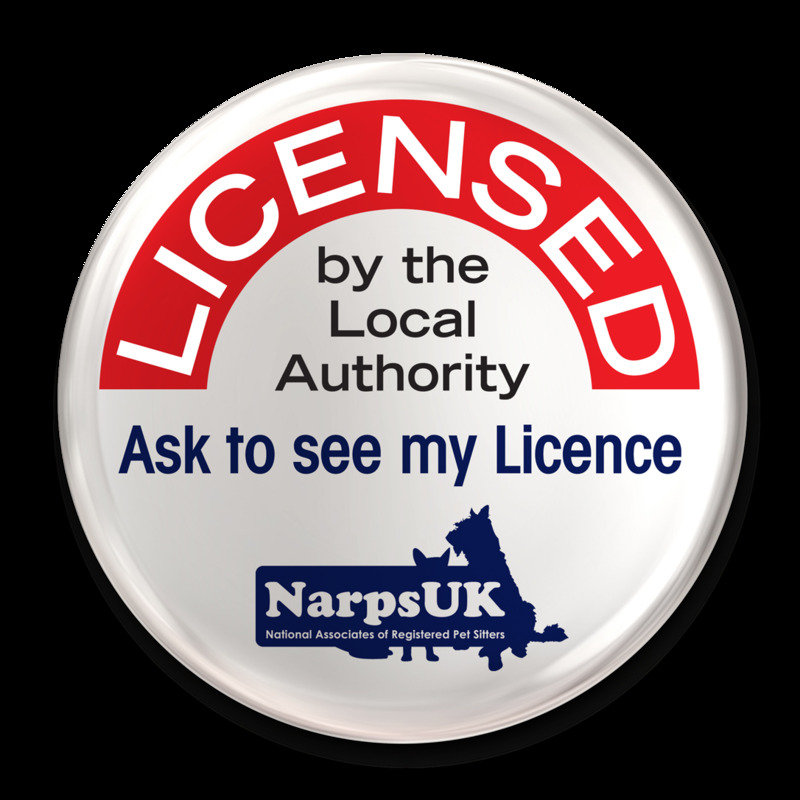 We are members of NarpsUK - the National Associates of Registered Pet sitters, so you can be assured you are leaving your pet "In Safe Hands". We are fully insured, police checked and licensed by South Ayrshire Council.